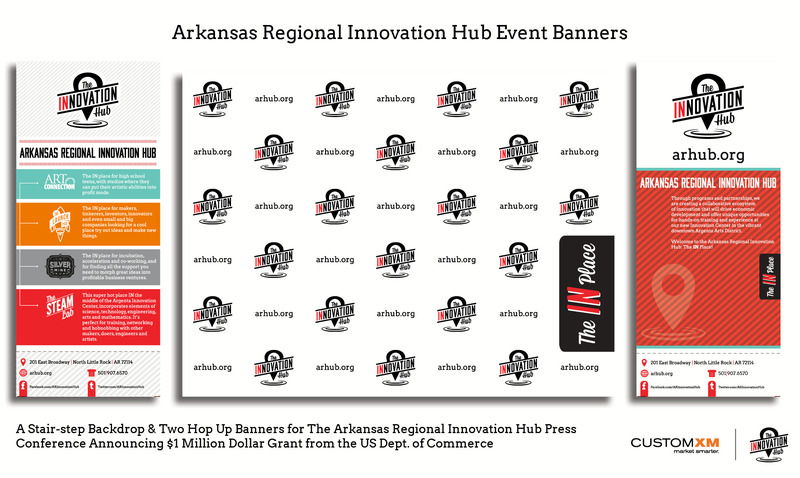 With the announcement of a $1 million dollar grant from the U.S. Economic Development Administration, The Arkansas Regional Innovation Hub needed a polished and attractive backdrop for the press conference stage. Not only would it be in the spotlight of the media, but also be host a number of important local, state and federal leaders. SignsXM provided them with a 9’ x 7’ step and repeat backdrop, as well as two 3’ x 6’ foot retractable banner stands. SignsXM also provided The Hub with window decals to add additional exterior branding to an exterior that is still a work in progress. 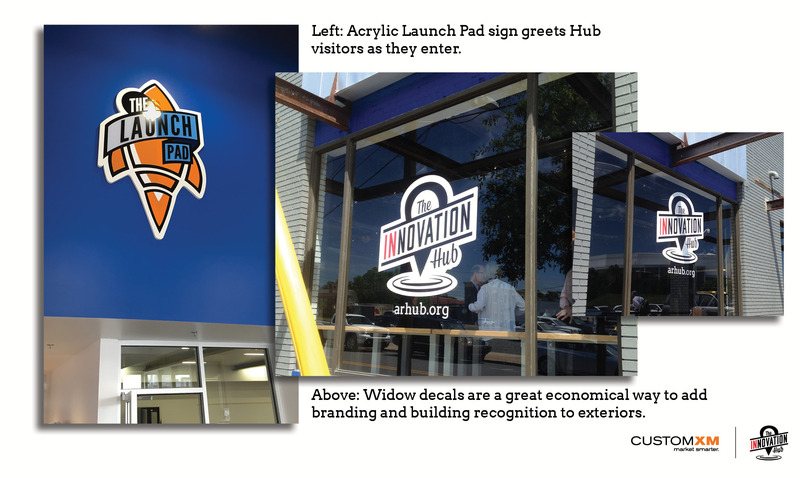 A large acrylic contour cut Launch Pad sign greets the guest from the entrance facing Broadway. 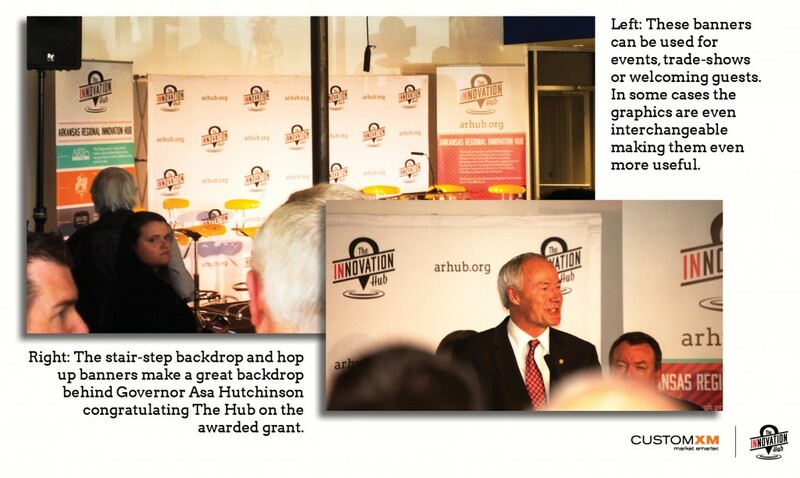 The $1 million dollar grant will allow the Hub to complete building renovations, including establishing the Silver Mine co-working space.